A Maryland man who pleaded guilty to a string of bank robberies, including one in Lovettsville, will serve more than 13 years in federal prison. 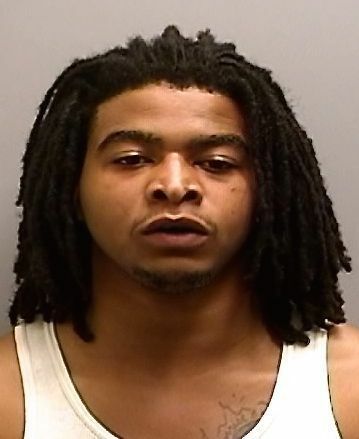 U.S. District Judge Richard D. Bennett yesterday sentenced Andre Antoine Walker, 23, of Temple Hills, MD, to 162 months in prison, followed by three years of supervised release. He pleaded guilty in March to charges of bank robbery conspiracy, bank robbery, armed bank robbery and brandishing a firearm in relation to a bank robbery. Walker also was ordered to pay $10,593 in restitution. According to his plea agreement, Walker and co-defendant Malcolm Green robbed three banks in Maryland and one bank in Virginia. On July 1, 2015, Walker and Green entered the BB&T Bank on Allentown Road in Camp Springs, MD. Walker passed a note to a teller demanding money in large and small bills. When the bank teller stated that she did not have large bills, Walker patted his waistband with his hand. The teller believed that this motion was meant to indicate that Walker had a weapon. The teller provided money and the defendants left. On July 13, 2015, the defendants presented a demand note to a teller at the Essex Bank on Ingleside Road in Baltimore. The teller provided cash and the defendants left with approximately $100. A dye pack ignited in Green’s pants, burning his legs and ruining the money. On July 17, 2015, the defendants walked into the BB&T Bank on Cypress Avenue in Millington, MD. Green passed the teller a note demanding money, and threatening to come back shooting if his demands were not met. When the teller hesitated, Walker pulled out a gun from his waistband, brandishing it several times. The teller provided cash and the defendants left. On July 24, 2015, the defendants entered the BB&T Bank in Lovettsville. Green brandished a gun and gave the teller a note demanding money and no dye packs. The teller provided money and the defendants left. The total amount that the defendants stole from the banks was in excess of $10,590. Investigators identified the defendants through fingerprint analysis on a robbery note, law enforcement databases and surveillance footage of the robberies. They were arrested on August 3, 2015. Green, 24, of Temple Hills, MD also pleaded guilty to his participation in the conspiracy and was sentenced to 154 months in federal prison.